Thanks to the almighty internet, a lot of information has been available online. People got so used to it that they can easily get annoyed if don’t instantly find what they need. If your business is not online, it is as if it does not exist. As in many other industries, websites are a necessity in beauty industry too. Being all about aesthetics, a quality made beauty salon website must represent a beauty business properly. If you are starting your own business in beauty industry, you should consider getting a quality website. However, be prepared to make some investments here. Your website must cover every treatment you offer in your salon. Since you work in the service of beauty, it needs to be appealing as well. It is said that people can within 4 seconds decide whether they like something or not. Therefore, first impression is vital and, since your website is the first picture of you company that the customers encounter, it needs to be striking. Not having a website is embarrassing, but having a sloppily done one is even worse. It will almost certainly affect your business reputation in a negative way. In addition, your website mustn’t be too complicated and it should be easy to navigate – nobody wants to waste time trying to find something. For the best results it’s advisable to hire a professional who creates customized professional websites for beauty salons. 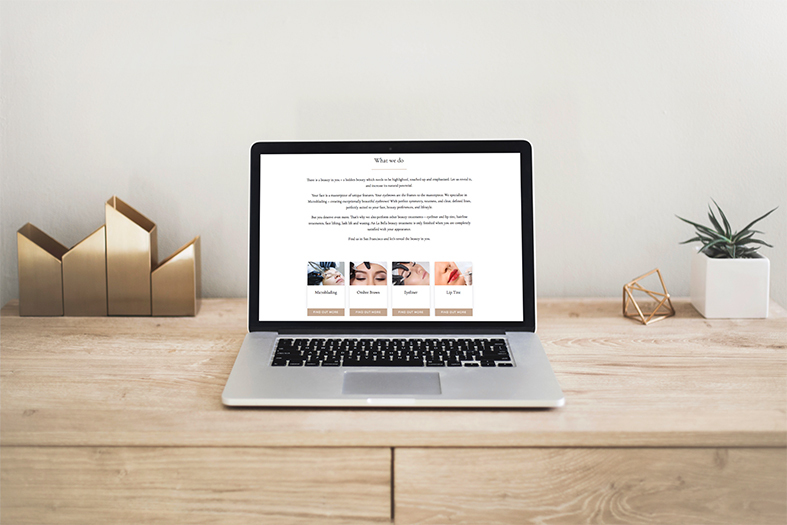 A customized website will reflect your beauty business in the best possible way. Even if you are a household name in beauty industry, you need to keep up with trends. It is insufficient to rely only on your quality and experience anymore – you must think on your online reputation too. Having an attractive and upscale website has a lot of benefits. Beauty industry is a highly competitive market, so the better site you have, it will help you attract more clients. Otherwise, new, trendy beauty salons with polished websites will outperform you. Use your website as an advertising tool. Write about the latest trends in beauty treatments on your blog and show that you’re up to date. Reveal before and after pics of your satisfied customers, as well as videos and written testimonials. The more genuine you are the more customers you’ll attract. What Does a Good Website Need to Have? A good salon website needs to have a home page – the first page you access and the one made to impress the customers. Everything on the home page must be stated clearly and visibly. There is about us section, where you will introduce your business and explain what you do. If you want to stand out, you might even want to insert an introductory video, thus making yourself more approachable to clients. Further on, the location of your business, phone number and opening hours must be displayed clearly. Also, it would be very useful to put up the price list of your services. Customers like transparent and available information. As mentioned earlier, before and after photos are also a must, since they are the best indicator of how big an expert you are and of which quality are your services. Don’t put stock images on your website – use your own satisfied customers to make it more reliable and genuine. Testimonials of your loyal customers are also something beauty salons put up on their websites in order to attract more people. Collect positive comments and reviews from Facebook and Yelp to win new clients. Also, a good website must be easy to access via mobile phone. It also needs to be fast and load under 4 seconds. Otherwise, you will lose all those impatient visitors. What Else Can You Use a Website For? Besides posting pictures, you can post videos of some tutorials or you doing your magic, to make it more interesting and truthful. In addition, you might consider advertising products that you offer in your salon too. You can also have some interesting and advisable tips for your costumers, which they can read on your blog. All of this will help you create a friendly relationship and trust among your customers. Plan your digital marketing strategy wisely by using all the features a good website can offer. Generating e-mails of visitors, is an excellent way for expanding your mailing list. Also, a website should be well connected with all the social networks, for an easier access. One more thing that has become a necessity lately is a possibility of booking an appointment online. It is easier and quicker if a customer can see available appointments and chooses one that suits them best. This is much faster and it can be done anytime. Modern websites have this feature too, which makes them look even more serious and professional. CTA or call to action button is a button which you use to guide users towards your goal conversion. It should be visible and is used for the clients to easily contact you and book your service. Online store is also a good one, if you have products to sell. Besides, if you have some trainings or courses to offer, you should certainly do it on your beauty salon website. Otherwise, the customers will not know what is that you have to offer. As it was mentioned above, people like things that are pretty and simple. Everything needs to be clearly displayed on the HOME page. 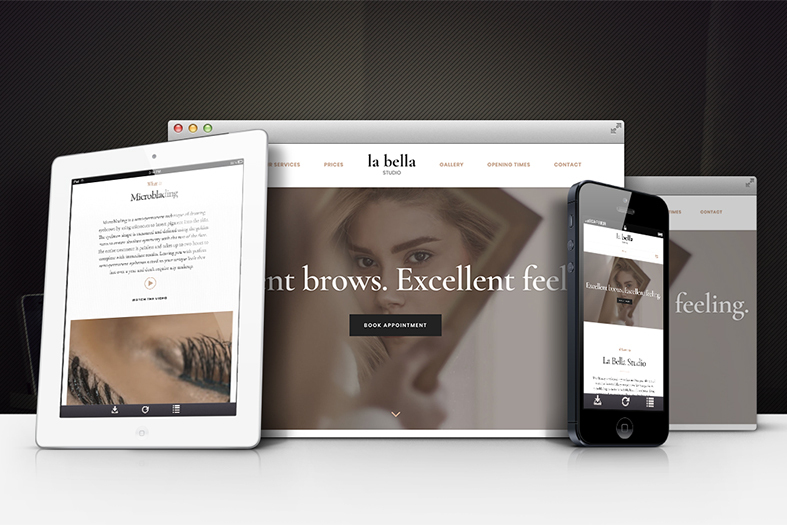 Your beauty salon website needs to be contemporary and updated at any time. Otherwise, you might leave the impression of being unprofessional. Having a quality website always pays off. You will cover the cost with a couple of clients. A set-up of a good website costs around $1500 plus some additional expenses for monthly maintenance (around $100). Don’t be cheap when you decide to make a beauty salon website. It is a good investment. If you want the job to be well done, and in this case, it must be flawless, hire a professional. Taking all the facts about the importance of a quality website into account, you shouldn’t try to do it yourself. A professional whose previous works you can see and you like can really help you build you online image. You can always interfere by choosing a design and give your own suggestions of what kind of additional content you would like to put up. A good web designer will know what information mustn’t be omitted. There is plenty of web designers who can help you with making an outstanding website. However, be careful to choose those who have experience, especially with beauty salon websites such as Art of Beauty Academy. 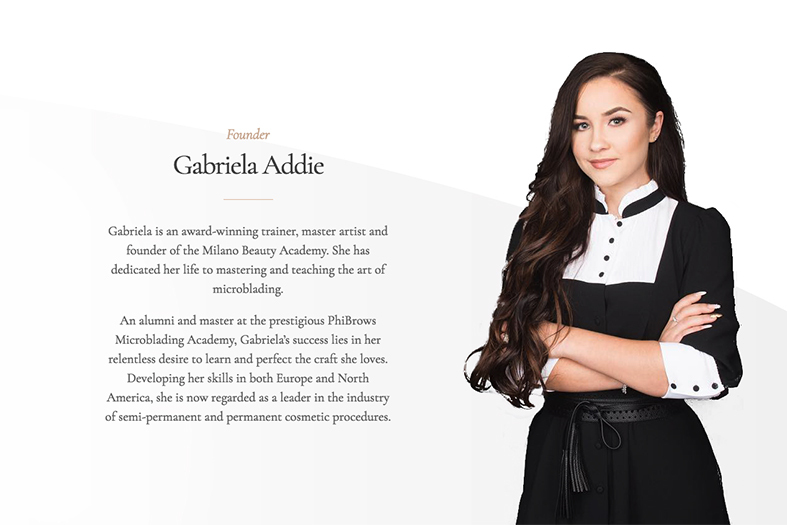 The academy is specialized in creating professional websites for microblading artists. However, these websites can be applicable for any beauty salon.